Prime Minister of India, Shri Narendra Modi will inaugurate the project “Development of Spiritual Circuit: Sree Padmanabha Swamy Temple-Aranmula-Sabarimala” being implemented under the Swadesh Drashan Scheme of Ministry of Tourism, Government of India in the presence of Shri Palanisamy Sathasivam Governor of Kerala, Shri Pinarayi Vijayan Chief Minister of Kerala, Shri K.J. Alphons, Union Minister of State (I/C) for Tourism, in Kerala tomorrow. 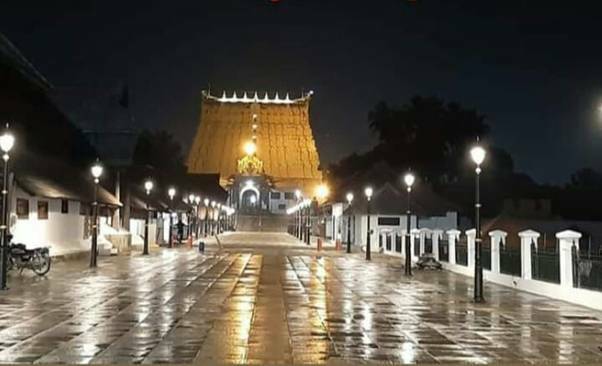 The project ‘Development of Spiritual Circuit: Sree Padmanabhaswamy Temple-Aranmula-Sabarimala’ was sanctioned by the Ministry of Tourism in 2016-17 for Rs. 92.22 Crores. Majority of work under this project has been carried out at the Sree Padmanabhaswamy Temple. The Sree Padmanabaswamy Temple is one of the 108 divyadesams of Lord Vishnu. The temple witnesses huge footfall throughout the year. However, the temple precinct did not establish a sense of arrival to the revered destination nor were the amenities sufficient to cater to the tourists. Under this project, the Ministry has developed and rejuvenated the temple and its surroundings keeping in mind the factors of heritage and socio-cultural aspects. Swadesh Darshan scheme is one of the flagship schemes of Ministry of tourism for development of thematic circuits in the country in a planned and prioritised manner. Under this scheme the Government is focussing on development of quality infrastructure in the country with objective of providing better experience and facilities to the visitors on one hand and on other hand fostering the economic growth. The scheme was launched in 2014 -15 and as on date the Ministry has sanctioned 77 projects worth projects for Rs. 6131.88 Crore to 30 States and UTs. 30 projects / major components of projects are expected to be completed during the current financial year, of which 10 projects worth Rs.834.22 crore, covering the states of Manipur, Meghalaya, Nagaland, Arunachal Pradesh, Andhra Pradesh, Madhya Pradesh and Chhattisgarh have already been inaugurated. The Ministry of Tourism recognizing the tourism potential of the State has sanctioned 7 projects in Kerala under the Swadesh Darshan and PRASHAD schemes for an approximate amount of Rs. 550 crores.